Promote the best WordPress website builder and earn up to $139 from a single sale. 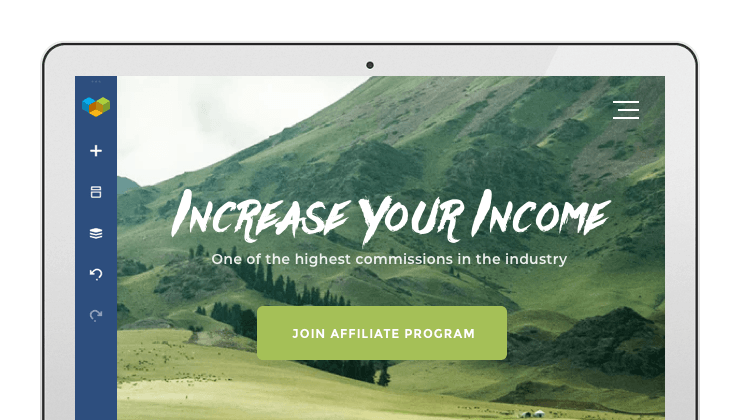 Visual Composer Affiliate Program offers one of the highest commissions in the industry. Earn up to $139 from a single sale. On top of first commission get extra 30% for each renewal as a nice reward. Receive earnings regularly. No need to meet any payment threshold. You earned it. One more benefit to increase your earning mechanism for each referred customer. Visual Composer Website Builder is created for WP experts and beginners in order to design websites fast and easy! Our designers and video gurus create trendy creatives for you to choose what’s best for your site. Place Visual Composer links, banners and other content on your website and other channels. Earn money when your referrals buy any of Visual Composer premium licenses. How can I become a Visual Composer affiliate? Simply fill out the online application here. Once you are approved, you’ll receive an email with the link to your Affiliate Dashboard. To get approved, your resources (website, social accounts or others) will have to meet our requirements and terms. We pay 40% commission on every sale you refer to us. For every repeated sale made from the same user, using the same IP address, you get 30% commission. Visual Composer has three product packages with a price range from $59 to up to $349, which means you can earn up to $139 per Premium sale. The more sales you refer, the more you get paid. Check out our pricing page here. How do I get my referral link and creative materials? On your Affiliate Dashboard, go to “Banners” or "Text Links" and choose your link and creatives. We have different size banners and various text links we update on a regular basis. You can also visit our Press section for more creative materials to use for advertise Visual Composer. However, your hands are free in your performance - you can create your own visuals, video tutorials, and other marketing materials. Do I get a renewal commission? Yes. We are one of the few who offers renewal commissions for our affiliates. You will receive 30% commission for every renewal you refer to us! You’ll be paid via PayPal every month on date 15th for sales you referred at least 30 days ago. If you require a wire transfer (SWIFT), the minimum payout is $500 + you will be charged $25 per a transaction. For each sale that you make, there is a 30 day “pending” period before commission is confirmed and shows on your Affiliate’s Dashboard. The time period is set due to possible refunds we might get from your referred customers. For example, if you make a sale on 25th May then the sale is due to be confirmed on the 24th June and you will be paid on the 15th July. Where can I learn more about Affiliate Dashboard? You can learn more about iDevAffiliate in their help center. Increase your income with one of the highest-paying Affiliate programs.